In monte Oliveti oravit ad patrem: Pater si fieri potest transeat a me calix iste. Spiritus quidem promptus est caro autem infirma. Fiat voluntas tua. O nata lux de lumine, Jesu redemptor saeculi, dignare clemens supplicum laudes precesque semer. Qui carne quondam cortege dignatus es pro perditis, nos membra confer efface tui beati corporis. O Light born of Light, Jesus, redeemer of the world, with loving-kindness deign to receive suppliant praise and prayer. Thou who once deigned to be clothed in flesh for the sake of the lost, grant us to be members of thy blessed body. O Saviour of the World, who by thy cross and precious blood hast redeemed us. Save us and help us, we humbly beseech Thee, O Lord. Amen. This morning’s prelude/postlude are settings of the Lenten chorale ‘Lamb of God, Pure, Spotless,’ which I will first play in it’s original ‘hymn’ form, in a harmonization by Bach. In the Reger setting, one verse of the chorale is presented, with the melody clearly heard in the upper solo part. In the Bach setting, three verses are presented: in the first, the hymn tune appears in an ornamented version in the upper voice after an opening section featuring counterpoint based on the opening rising fifth (do-sol) of the chorale tune; in the second, the chorale tune appears in the middle voice, and in the third, the pedals finally enter with the chorale tune. This morning’s Offertory anthem was dedicated to Bob Sperry, a long (long!) time Christ Church member and choir member, whose dedication to the choir and service to the church and community serves as an example to all. You are missed, Bob! Te Deum Laudamus is a canticle of praise which is found as Canticles 7 and 21 in the Book of Common Prayer; it was at one time thought to have been written by Saints Ambrose and Augustine, but it is now generally attributed to Niceta, a fourth century Bishop. It is often sung on important occasions; we are singing it on this last Sunday before Lent as a response to the story of Jesus’ Transfiguration in today’s Gospel. The text of this morning's offertory anthem is taken from this morning’s Psalm (Psalm 119 vs. 33). It is a popular text among composers, and we have sung several settings of this text already this year. The composer Thomas Attwood was a student of Mozart’s until shortly before his death; he returned home to England to establish himself as one of the leading English composers of his day. English composers of the first half of the 20th century were fond of writing organ pieces that started and ended very quietly, but reached one or two very loud climaxes in the middle, showing off the whole range of the beautiful organs in English cathedrals and larger churches. This morning’s prelude is such a piece; however, I will not get quite as loud as the composer might have preferred! It’s composer, Alec Rowley, is not well known in this country but is respected in England, particularly for his organ and choir pieces. This lovely piece reminds me a little of the Elgar of the 2nd Symphony and Enigma variations—very noble and elegiac. This morning’s postlude is the Fugue in E BWV 536/2 (we heard it’s accompanying prelude last week). This fugue has been called the ‘gentlest’ of Bach’s fugues. It is nearly all exposition, which is to say that the fugue subject (the opening ‘tune' on which the piece is based) is nearly always present, although sometimes it is ‘hidden in plain sight’ in the inner voices. How many times can you hear the fugue subject being played? Lord, for Thy tender mercies’ sake, lay not our sins to our charge, but forgive that is past, and give us grace to amend our sinful lives, to decline from sin, and incline towards virtue, that we may walk with a perfect heart before Thee now and evermore. This morning’s prelude is based on the hymn tune we will be singing as our Sequence hymn this morning. It is actually an arrangement bach made of a movement of his cantata of the same name, BWV 93. In the original, the upper parts are sung as a vocal duet, with the chorale tune coming in on the strings; in the organ arrangement, the upper parts and the bass line are played on the manuals, while the chorale tune is played with the feet (or just ‘foot’, as is sometimes the case!). Our postlude this morning is the Prelude in A from Bach’s Prelude and Fugue BWV 536—I will be playing the Fugue next Sunday. This is one of Bach’s most cheerful and sunny preludes, featuring cascades of bright organ sound and some fun skipping pedal motifs. Enjoy! Ubi caritas et amor, Deus ibi est. Congregavit nos in unum Christi amor. Exsultemus, et in ipso jucundemur. Timeamus, et amebas Deum vivim. Et ex corde diligamus nos sincero. Amen. Where charity and love are, God is there. Love of Christ has gathered us into one. Let us rejoice in Him and be glad. Let us fear, and let us love the living God. And from a sincere heart let us love one. Amen. in praesepio, Und leuchtet als die Sonne Matris in gremio, Alpha es et O! Durch alle deine Güte O princeps gloriae. Trahe me post te! Und die Schellen klingen In regis curia. Eia, wären wir da! In quiet joy now sing with hearts aglow! Our delight and pleasure lies in a manger; like sunshine is our treasure in the mother's lap! Thou art Alpha and Omega! O tiny Jesus for thee I long alway; comfort my heart's blindness, O best of boys, with all Thy loving kindness, O Prince of glory,draw me unto thee. Where are joys In any place but there? There are angels singing new songs, and there the bells are ringing in the king's court. O that we were there! I sing of a maiden that is makèles (matchless): King of all kings to her son she ches (chose). He came al so stille there his moder (mother)was, As dew in Aprille that falleth on the grass. He came al so stille to his moder bour (bower), As dew in Aprille that falleth on the flour (flower). He came al so stille there his moder lay, As dew in Aprille that falleth on the spray. Moder and mayden was never none but she; Well may such a lady Goddes moder be. This morning’s ‘ludes (organ slang for preludes and postludes) are chorale preludes based on the Advent hymn ‘Savior of the nations, come,’ our communion hymn this morning, which is itself a translation of Luther’s German paraphrase of the ancient Latin hymn ‘Veni, redemptor gentium’ written by St. Ambrose on the 4th century. These two settings are considered among Bach’s masterpieces in the genre. In the first, the chorale tune appears highly ornamented in the soprano, over an inexorably marching bass line in the pedals; in the second, the tune appears simply and powerfully in the pedals, where phrase by phrase thunders out under what appears at first to be a dramatic fugue in the manuals. And I saw a new heaven, and a new earth: for the first heaven and the first earth were passed away; and there was no more sea. And I heard a great voice out of heaven, saying, behold, the tabernacle of God is with men, and he shall dwell with them and they shall be his people, and God himself shall be with them and be their God. And God shall wipe away all tears from their eyes; and there shall be no more death, neither sorrow nor crying, neither shall there be any more pain, for the former things are passed away. Rest in peace, all souls who have had done with anxious torment,who have had done with sweet dreams; who, sated with life and hardly born, have departed from this world: all souls rest in peace! And those who never smiled at the sun, keeping watch on the thorns beneath the moon, to see God in the pure heavenly light and look him just once in the face: all who have parted from here, all souls rest in peace! 'O Quanta Qualia' is a medieval hymn by Peter Abelard, which we know in an English paraphrase as Hymn 623 ‘O why their joy and their glory must be, those endless Sabbaths the blessed ones see.’ In this morning’s prelude, the hymn tune (played by the feet) floats over a gently undulating accompaniment. ‘Auferstehn, ja augerstehn’ (Arise, arise!) are the first words of the hymn ‘Die Auferstehung’ (‘The Resurrection’) which Mahler took as the text for the finale of his 2nd Symphony, commonly known as ‘The Resurrection’ symphony. In this morning’s postlude the hymn tune originally associated with the text (not used by Mahler) is presented by the pedals under a dense, chromatic accompaniment. The tree of life my soul has seen, laden with fruit and always green: the trees of nature fruitless be, compared with Christ, the apple tree. His beauty does all things excel: by faith I know, but ne’er can tell The glory which I now can see in Jesus Christ, the apples tree. For happiness I long have sought, and pleasure dearly I have bought: I missed of all; but know I see ’Tis found in Christ, the apple tree. This fruit doth make my soul to thrive, it keeps my dying faith alive; Which makes my soul in haste to be With Jesus Christ, the apple tree. Barechu et Adonay hame vorach. Baruch Adonay hame vorach leolam vaed. Praise Adonai to whom praise is due forever. Praised be Adonai to whom praise is due, now and forever. This morning’s anthem is a Latin setting of this morning’s well known Psalm. Cantate Domino canticum novum (Sing to the Lord a new song) has been a favorite text for composers throughout the millennia. This setting is by Johann Cruger, a 17th century German composer who wrote a number of concert works and liturgical pieces but is remembered primarily as a composer of Lutheran hymns and the publisher of the most-used 17th century Lutheran hymnal. Kruger was among the first generation of German composers who did not travel outside their native country to seek a music education; earlier German composers such as Schutz had brought the new Italian style of Gabrielli and Monteverdi with then back from England and made it their own. Cruder’s Cantate Domino is a perfect example of this new Italian style, with a German accent. Come, Holy Ghost, our souls inspire and lighten with celestial fire. Thou the anointing Spirit art, who dost thy sevenfold gifts impart. Enable with perpetual light the dullness of our blinded sight. Anoint and cheer our soiled face. With the abundance of thy grace, keep far our foes, give peace at home, where thou art guide no ill can come. Teach us to know the Father, Son, and Thee of both, to be but one; that through the ages all along, this may be our endless song. Our prelude music this morning consists of two Buxtehude settings of the Lutheran chorale ‘Now we pray to the Holy Ghost’, and our postlude is the famous Bach setting from the collection known as the Leipzig chorales of the other Lutheran Pentecost hymn 'Come, Holy Ghost, God and Lord.' In Bach’s setting, the musical lines run up and down the page, resembling tongues of fire as they rise and fall, while underneath the chorale tune sounds in the bass. The Prelude and Fugue in f minor BWV 538 is one of the most profound in the solo organ works of JS Bach. In my experience, when I was first drawn to it, the fugue subject and its development expresses an inward understanding and experience of majesty. What was Johan Sebastian thinking of? Could it be, given Bach's intense love and commitment to Martin Luther's theology in the German catechism and doctrine of the Trinity, that Bach had in mind the majesty of Christ returning to the Father in the firmament of heaven? The fugue subject is solidly simple and very basic in its design yet is developed with intense chromaticism. The Prelude, played before our processional hymn this morning, is perfectly balanced with the Fugue, played after the recessional hymn. The prelude simply prepares you to enjoy what is about to enfold, the Majesty of Christ's glorious Ascension. It takes away all sadness as the Holy Spirit is being sent into the world as Jesus promised the disciples. As Jesus said, " I will not leave you comfortless." For me, the key of F minor does not necessarily evoke sadness, but rather, endurance, and in this particular work, the reward is our own transformation in the Resurrection as members of the mystical body of Christ. This is our New Creation. My Shepherd, will supply my need, Jehovah is his name; in pastures fresh he makes me feed, beside the living stream. He brings my wand'ring spirit back when I forsake your ways; He leads me, for his mercy's sake, in paths of truth and grace.When through the shades of death I walk, thy presence is my stay; one word of thy supporting breath drives all my fears away. Thy hand in sight of all my foes, does still my table spread; my cup with Blessings overflows, thine oil anoints my head. This morning’s anthem is a Latin hymn from the 13th century, sung in English to the chant melody traditionally associated with it. It was written for the feast of Corpus Christi but is traditionally sung during Holy Week. It appears in our The Hymnal 1982 as hymn 329. Bach’s Fantasia in g minor is among the most dramatic and harmonically dense of all his works. Some of the dissonances and modulations as unexpected as anything in Wagner or later composers. If Bach played this piece at church (there are little in the way of records of exactly what he played each Sunday) I am certain he would have played it during this period in the church calendar; in it’s intensity it seems to somehow mirror the drama and pathos of the Passion. Let the words of my mouth and the meditation of my heart be pleasing in your sight, O Lord, my strength and my Redeemer. Let the word of Christ dwell in you richly in all wisdom, teaching and admonishing one another with psalms and hymns and spiritual songs, singing with hearts full of thanks to the Lord. And whatever you do in word or deed, do all in the name of our Lord Jesus, giving thanks to the Father through him. Lord, for Thy tender mercies' sake, lay not our sins to our charge, but forgive all that is past, and give us grace to amend our sinful lives, to decline from sin, and incline to virtue, that we may walk with a perfect heart, before Thee now and evermore. This morning's organ music consists of two settings of the Lenten chorale "Lamb of God, Pure, Spotless". The first is from the "Little Organ Book," originally intended as a collection of chorale settings for the entire church year; our postlude this morning is from the collection known as the "Leipzig Chorales", which also carries the nickname "the Great Eighteen" and includes some of Bach's grandest chorale settings. In the first, the tune appears in the pedals. In the second, the tune starts in the highest voice, moves to the "alto' for the second verse, and ends up in the pedals for the big concluding verse. 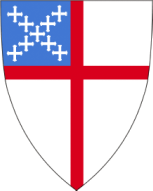 This morning's anthem is a setting of the "Te Deum Laudamus," a song of praise which has been adopted by the Episcopal Church as Canticle 7 (S205) in our hymnal. The text dates from the 4th century; it was traditionally attributed to Saints Ambrose and Augustine, but is now thought to be the work of one Nicetas, bishop of Remesiana (and is therefore one of the few non-Biblical canticle texts). Our lovely prelude this morning (yes, it is rather 'modern' sounding! ), by contemporary American organist and composer Gerald Near, is a setting of the traditional plainchant for Communion on Transfiguration Sunday. The text of the chant comes from the Gospel of Matthew's account of the Transfiguration in 17: 9— "Tell no one the vision, until the Son of Man is raised from the dead." The chant tune can be heard on the organ's lovely 4' flutes (which sound an octave higher than written) starting in the pedals, but then also popping up on the manuals, as it weaves around the accompaniment played on the organ's 'string' sounds. The postlude consists of the 'Praeludium' and first 'verse' of Buxtehude's setting of the Te Deum, based on the original chant melody. (Someday I'll play the whole thing, but it goes on for another 10 minutes or so. So maybe I won't!) The first verse is set as a 'bicinium,' an ancient form with roots in the medieval period: it is a spare, two-part setting with the chant tune, in longer notes, presented against a faster moving counterpoint. This morning's composers were contemporaries, and admirers of each other's music. Each held an important position in the London of the mid-18th century, and each was influenced by the others. Stanley was organist at the Temple Church, where Handel regularly went to hear him. Boyce was 'Master of the King's Musick' and organist of the Chapel Royal, while Handel was appointed Composer for the Chapel Royale (with, unusually, no official performing duties, making him perhaps the first professional composer!). You will remember that a 'voluntary' is an 'free' organ (or keyboard) piece, i. e. a piece that was not based on an existing hymn or chant tune (which forms were known as 'strict'). Voluntaries come in many forms, but by the mid-18th century a general pattern became established: a slow introduction, often in the 'French' style, was followed by a fast, contrapuntal section (as in, for instance, the overture to Handel's 'Messiah'). Let the words of my mouthing the meditation of my heart be pleasing in your sight, O Lord, my strength and my Redeemer. Let the word of Christ dwell in you richly in all wisdom, teaching and admonishing one another with psalms and hymns and spiritual songs, singing with hearts full of thanks to the Lord. And whatever you do in word or deed, do all in the name of our Lord Jesus, giving thanks to the Father through him.